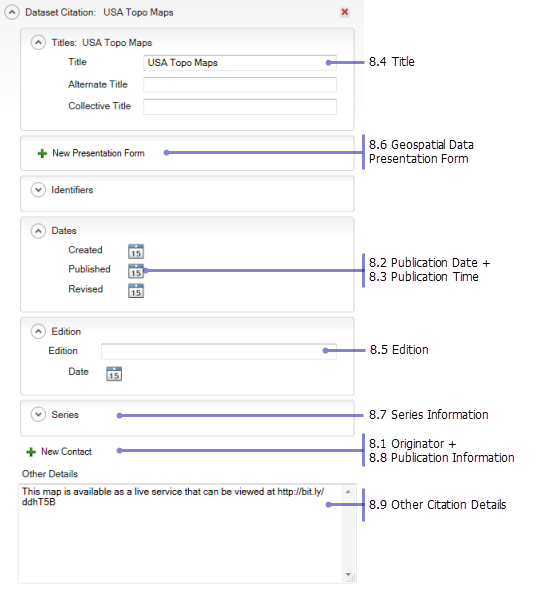 The Federal Geographic Data Committee's (FGDC) Content Standard for Digital Spatial Metadata(CSDGM) is a well-known metadata standard that has been used in North America and around the world for many years. 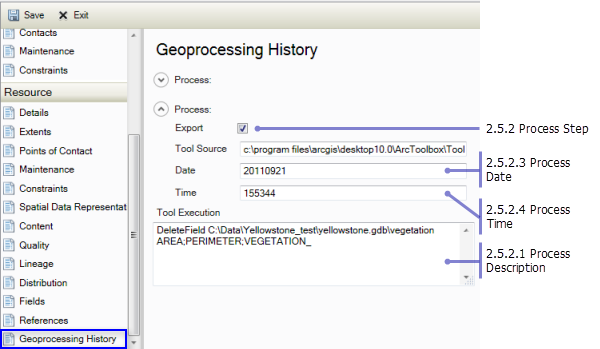 This is the type of metadata created by default with ArcGIS Desktop 9.3.1. 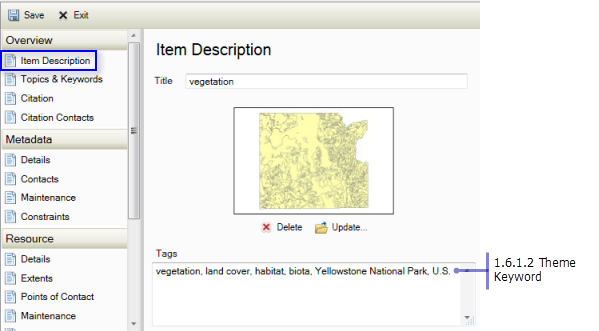 You can create complete FGDC metadata content in the current version of ArcGIS for Desktop in the pestaña Descripción when you use the FGDC CSDGM Metadata style. 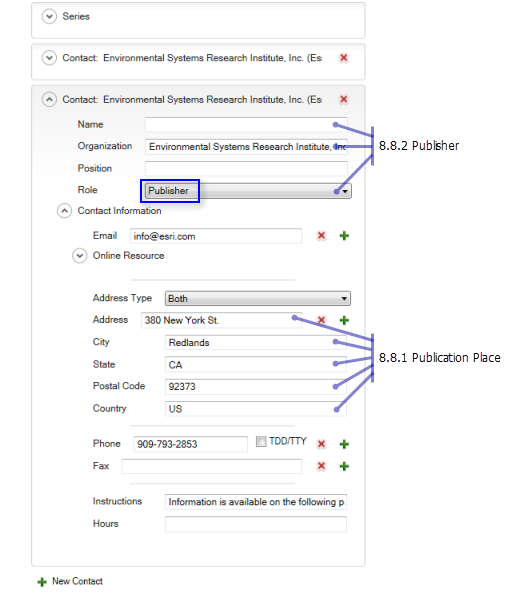 This guide clearly illustrates where to put the information associated with each FGDC metadata element. 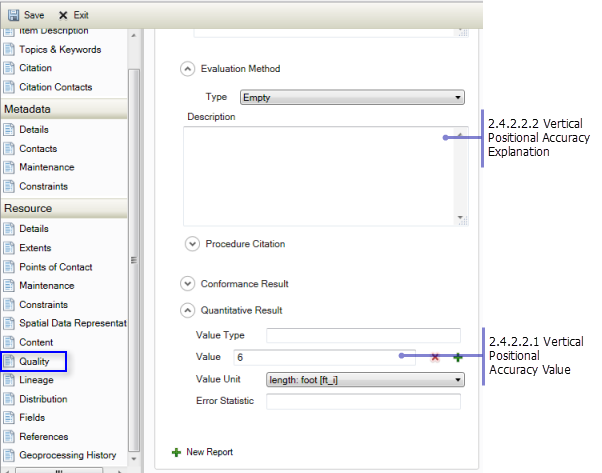 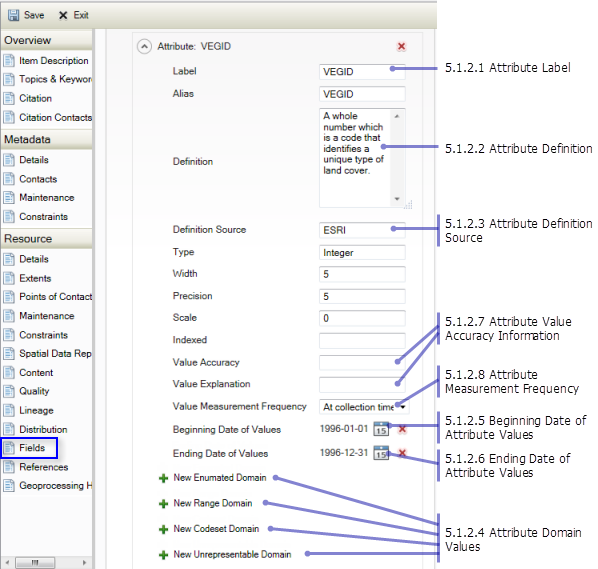 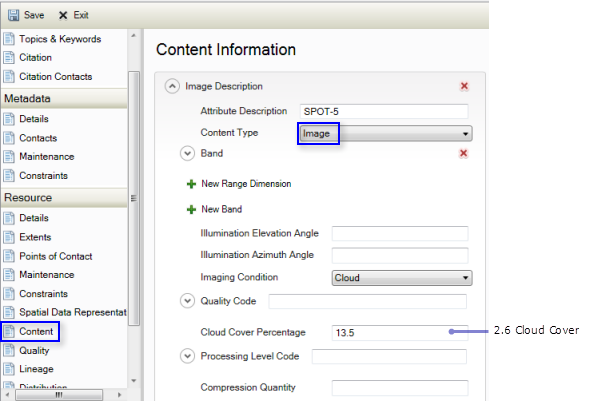 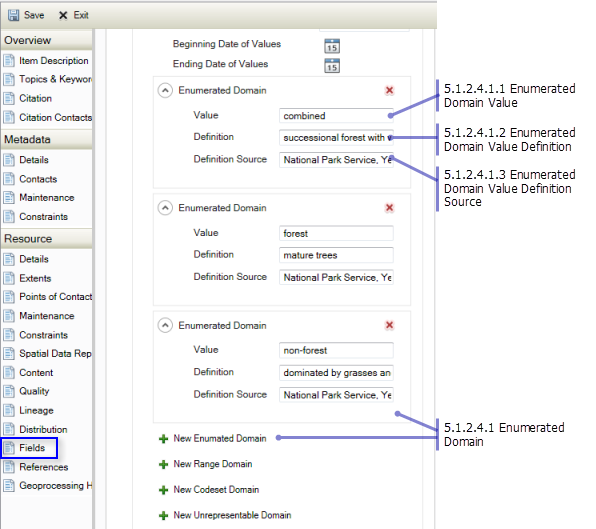 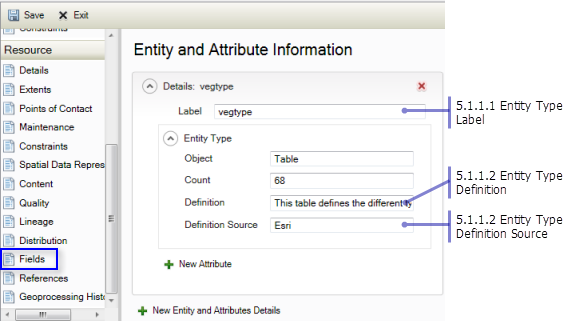 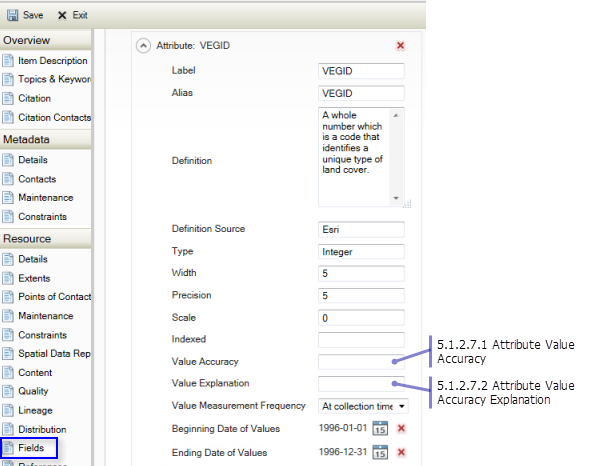 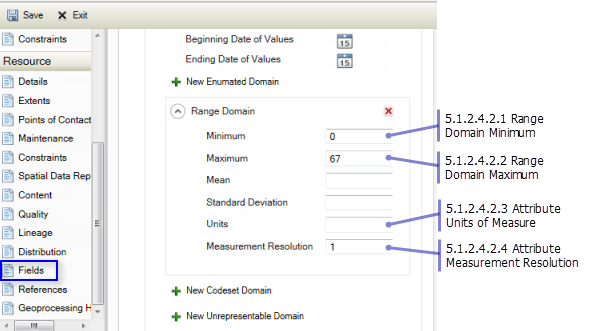 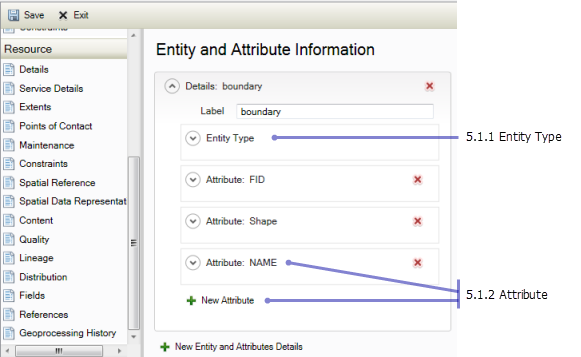 Some metadata elements are organized and named differently in the ArcGIS metadata editor than in the FGDC metadata standard. 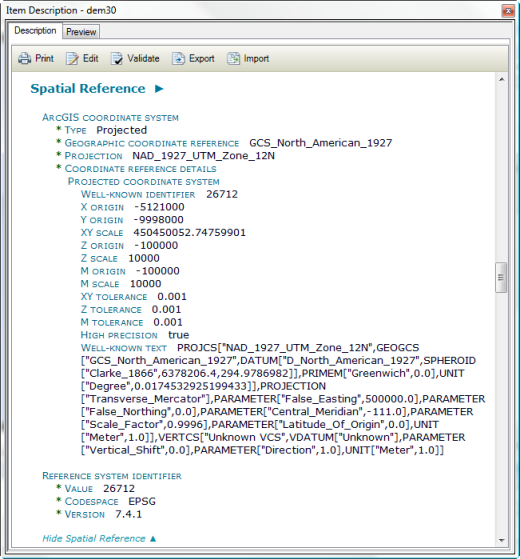 However, when you export metadata from ArcGIS to the FGDC XML format, all ArcGIS metadata content associated with the CSDGM standard is extracted and arranged correctly to create a complete FGDC-formatted metadata XML file that can be validated using either the metadata parser utility, known as mp, or the FGDC XML schemas. 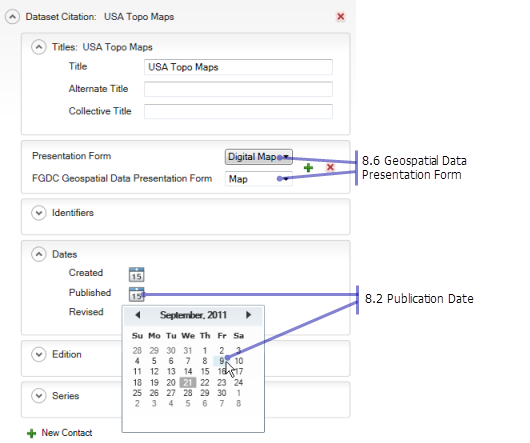 In ArcGIS metadata, all dates must be valid dates that consist of a year, a month, and a day. 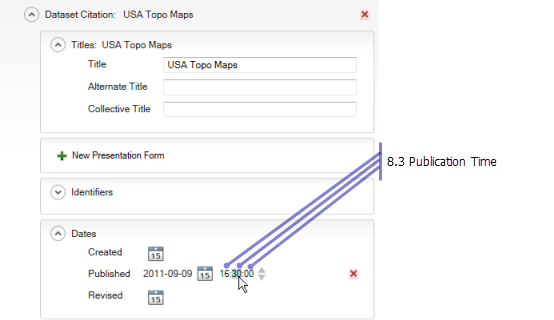 To enter this information in the pestaña Descripción, click the calendar control and click the appropriate date. 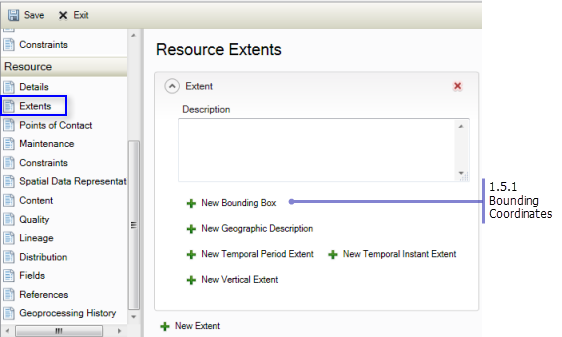 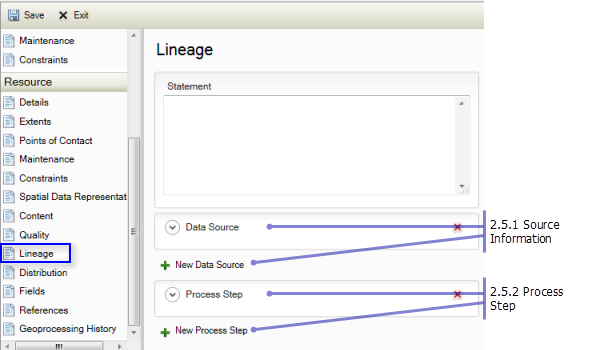 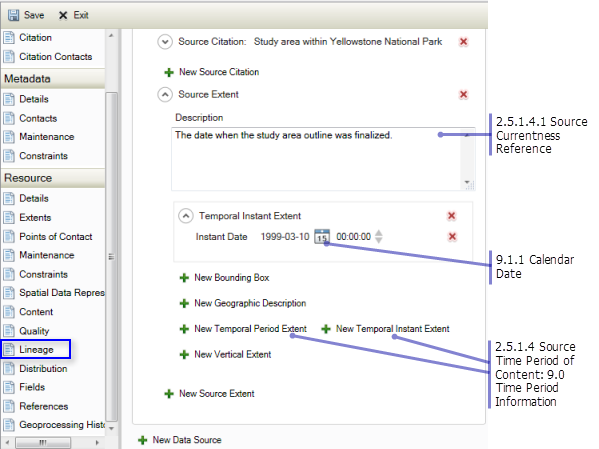 Times in ArcGIS metadata must be valid, and must include hours, minutes, and seconds. 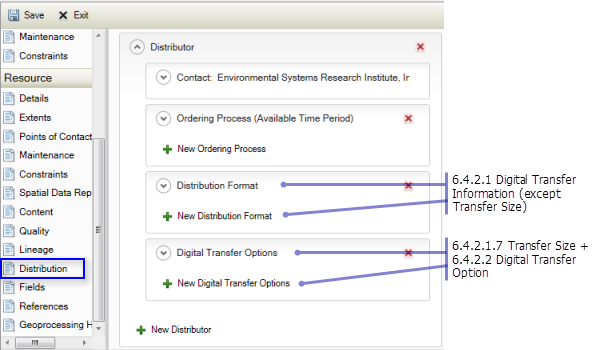 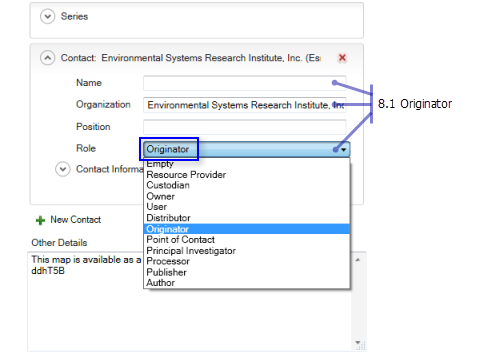 To enter this information, click the portion of the time you want to change and type in the appropriate value. 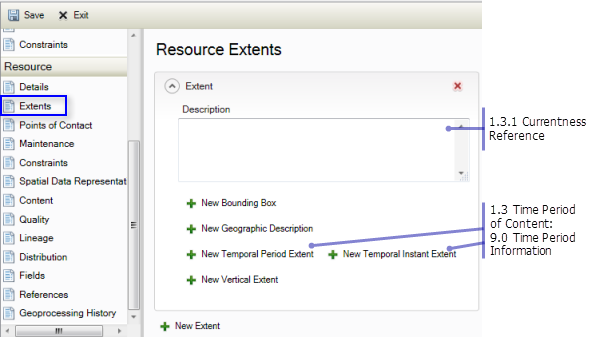 The up and down arrows can only be used to change the hour. 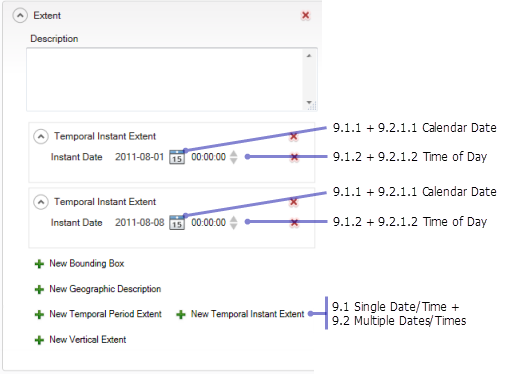 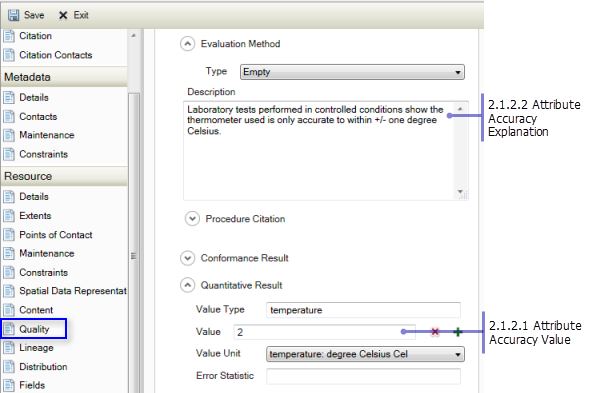 For more details about using the calendar and time controls, see the Time Period Information section. 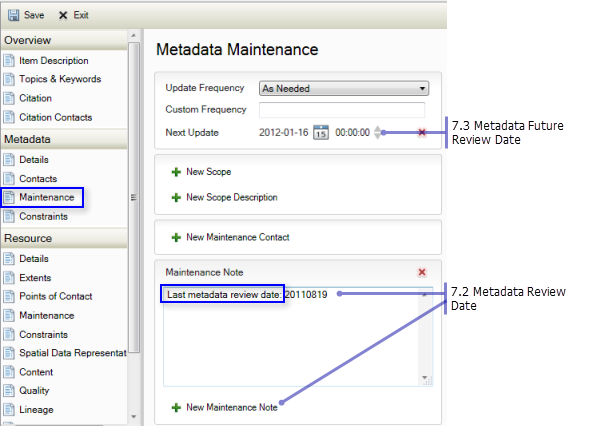 In FGDC metadata, some elements that typically require dates or times may allow text, such as unknown, unpublished material, or now. 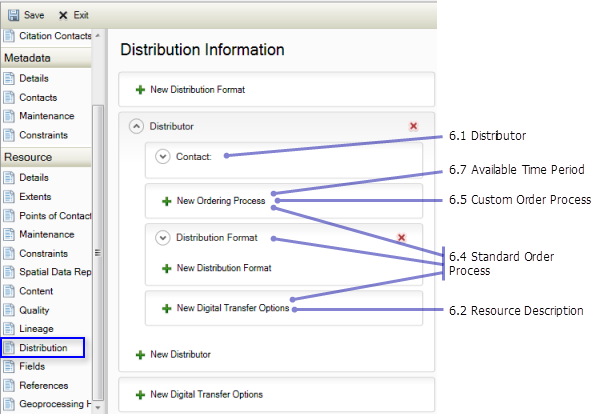 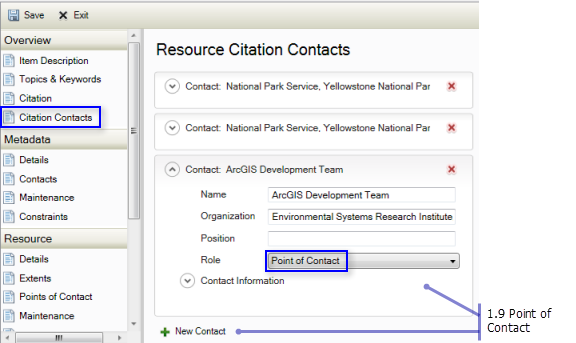 This information will be upgraded or imported to ArcGIS metadata. 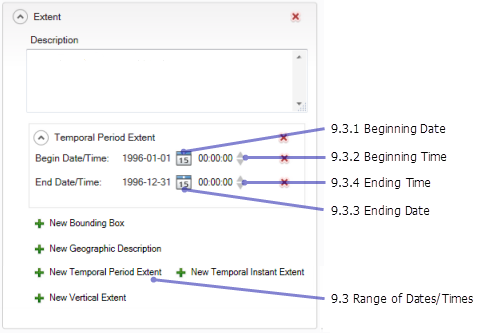 However, at present, imprecise dates and times such as these can't be edited in the pestaña Descripción. 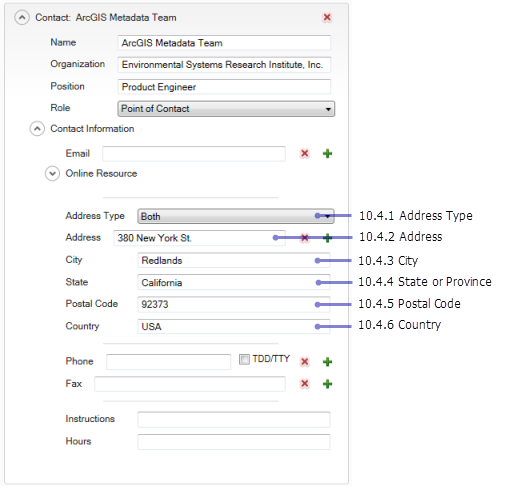 If more detailed dates and times are specified in the item's ArcGIS metadata, they will be used in place of the imprecise values when ArcGIS metadata is exported. 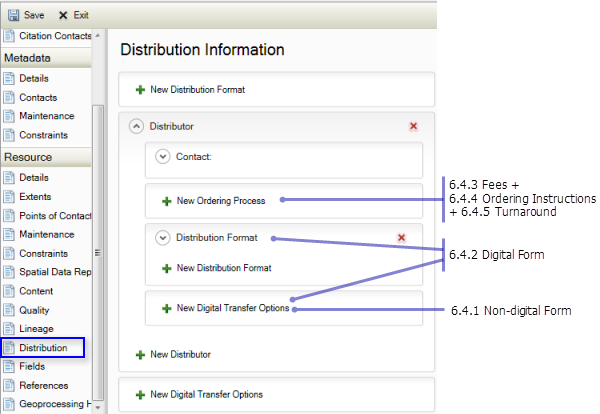 Otherwise, the original imprecise dates and times will be exported to the FGDC format. 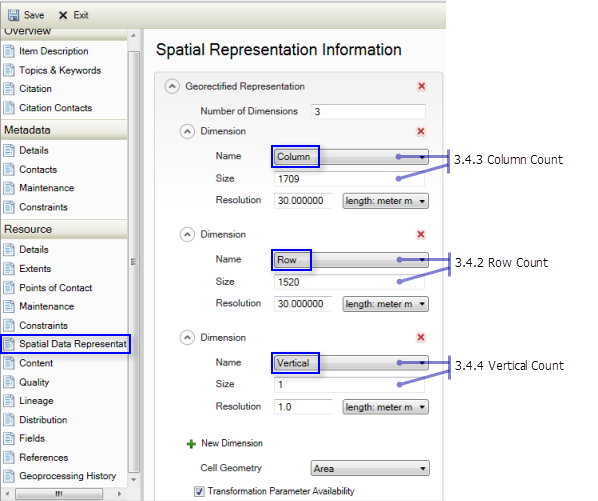 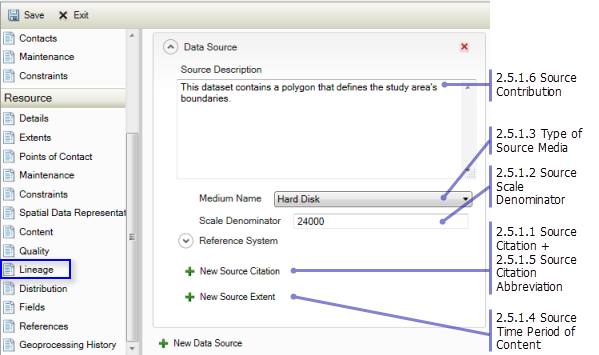 It is not possible to define a bounding polygon for an item in the pestaña Descripción using this version of ArcGIS. 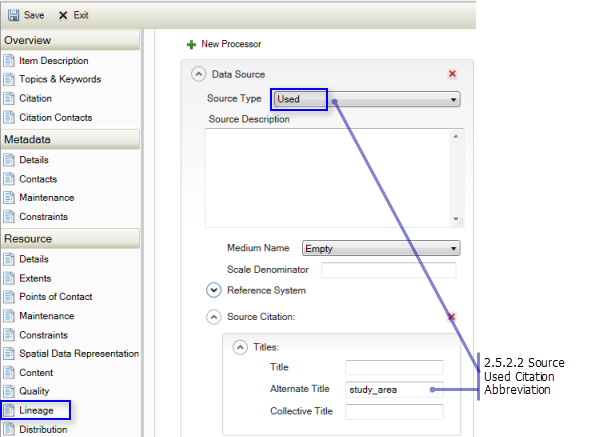 However, if your existing FGDC metadata contains this information it will be upgraded and stored in the ArcGIS metadata format. 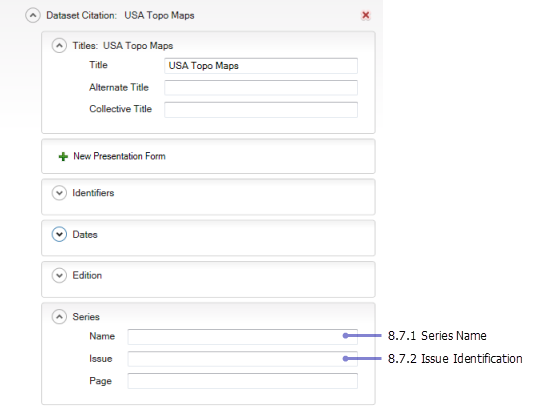 It will be displayed along with the rest of the item's metadata and exported to FGDC-format XML files with the rest of the item's metadata content. 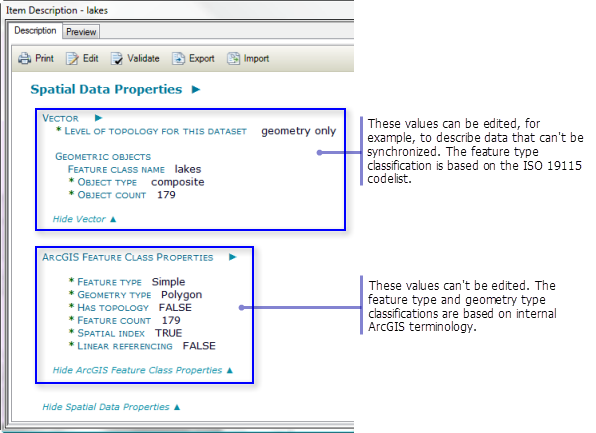 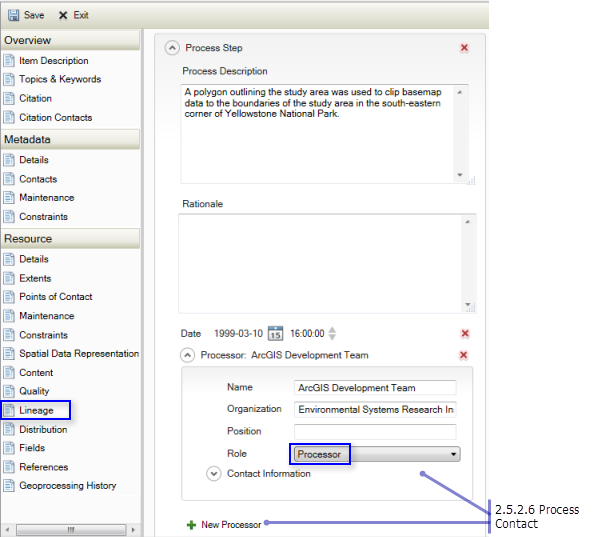 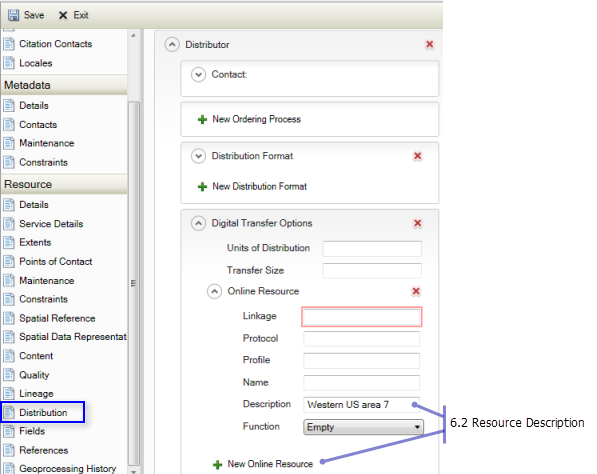 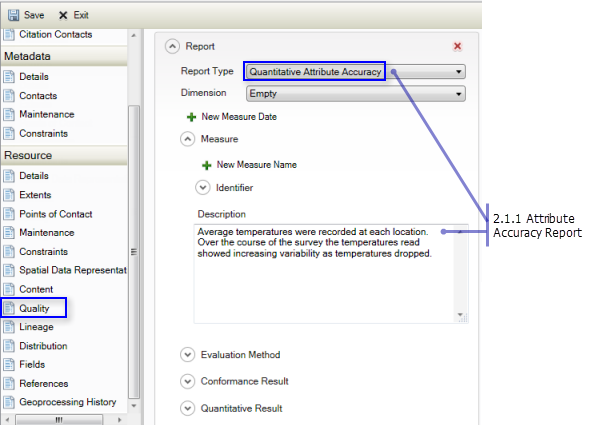 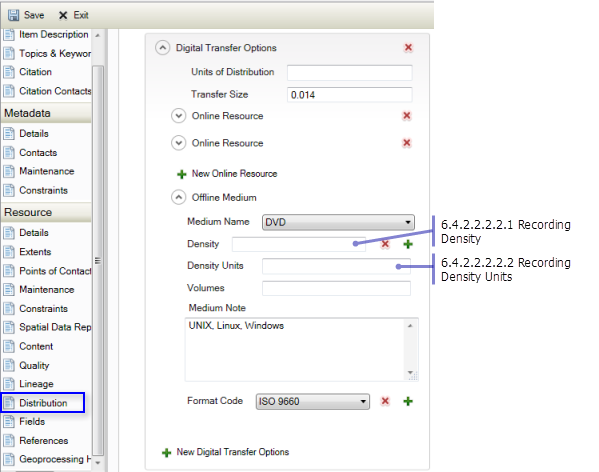 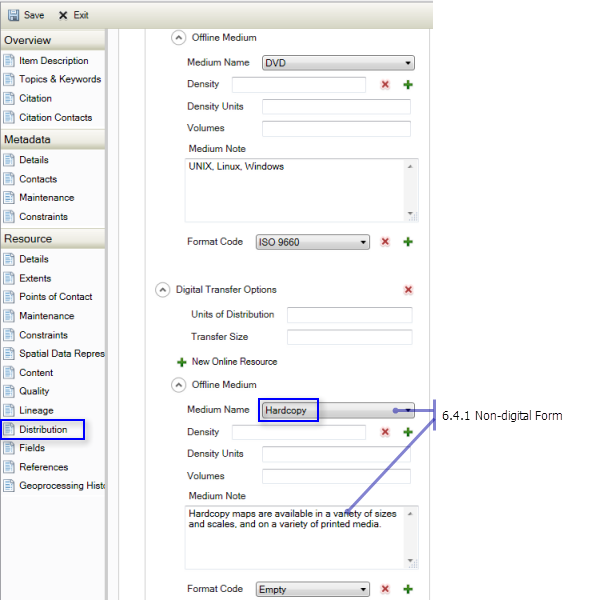 Information that corresponds with the FGDC Technical Prerequisites element will be upgraded or imported to ArcGIS metadata. 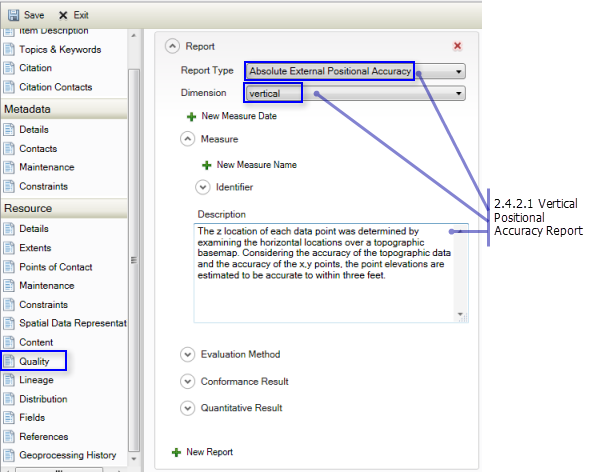 However, at present, technical prerequisites can't be edited in the pestaña Descripción. 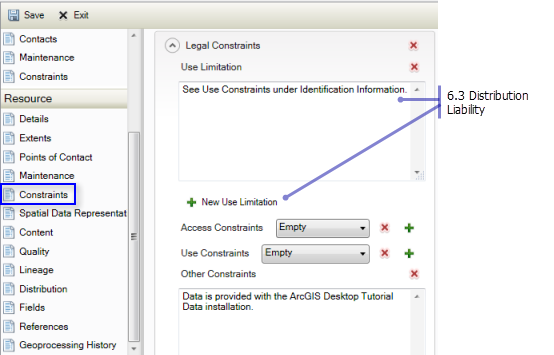 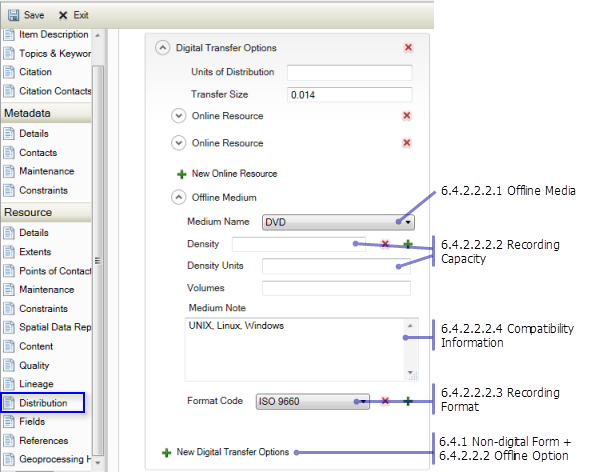 Information associated with the FGDC CSDGM Online Computer and Operating System elements can't be provided in ArcGIS metadata. 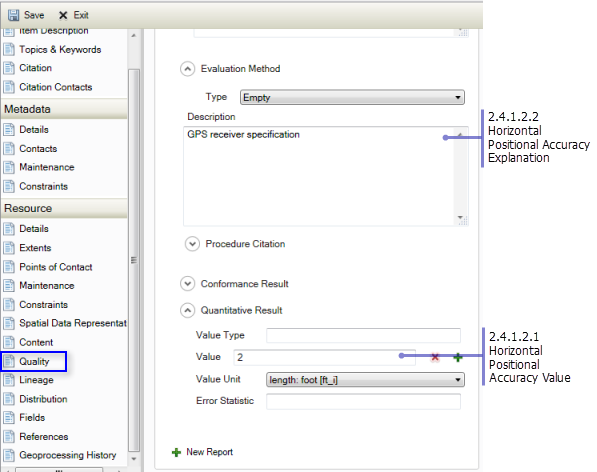 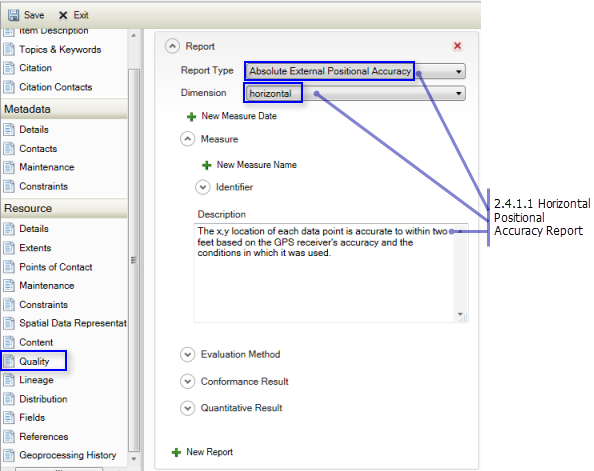 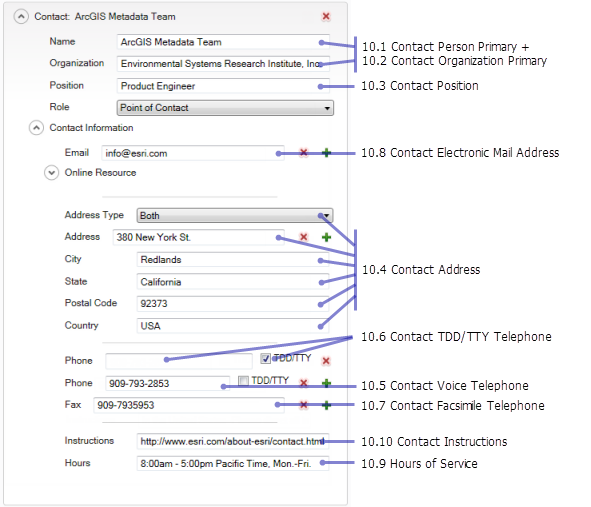 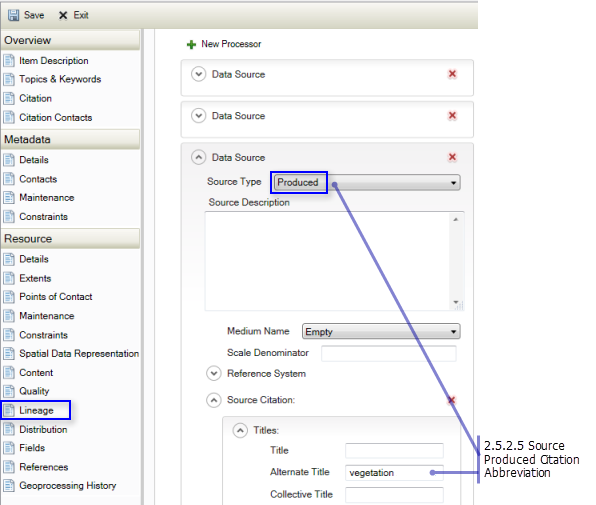 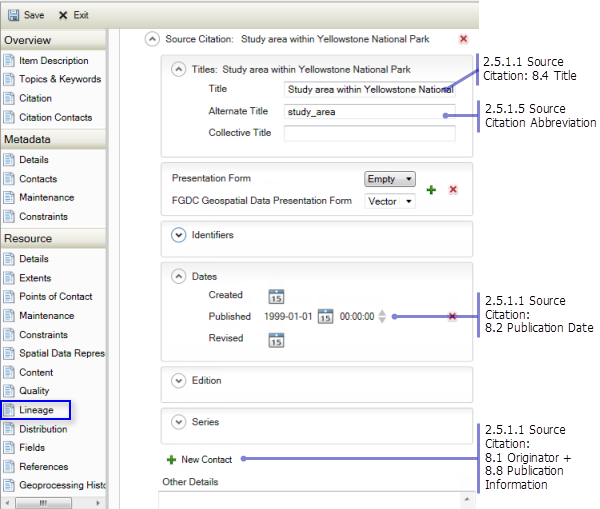 In ArcGIS, the metadata standard or profile that is being adhered to is determined by the metadata style that has been selected. 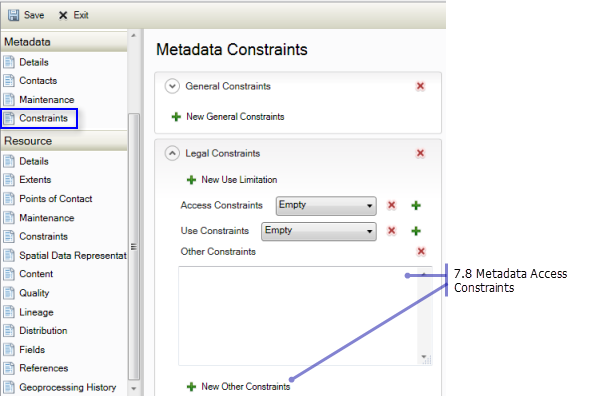 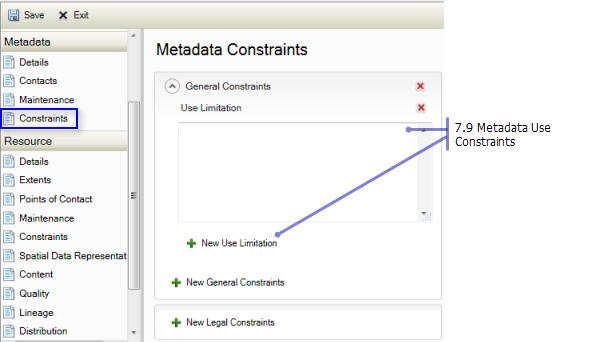 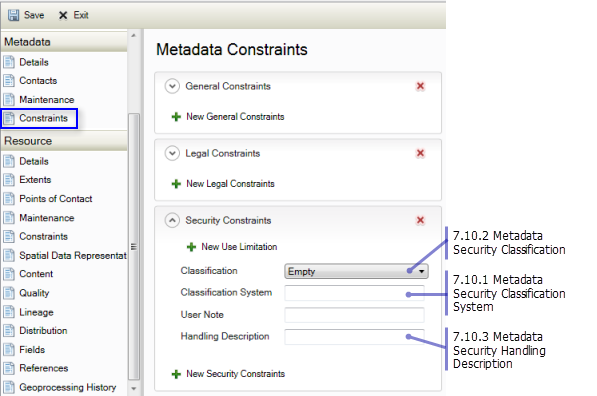 Therefore, you can't provide content for the Metadata Standard Name and Metadata Standard Version elements in the pestaña Descripción. 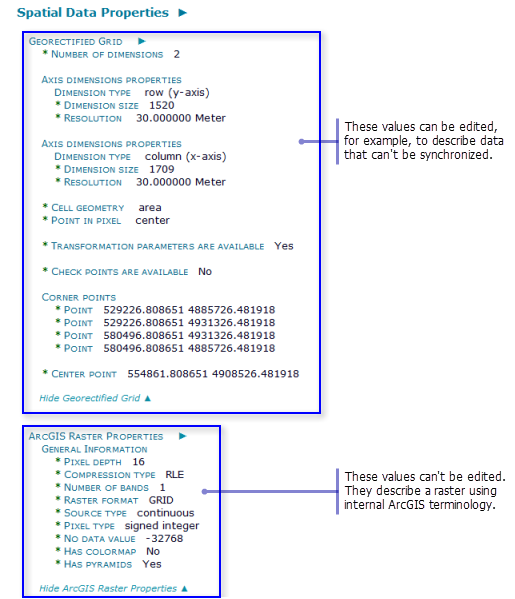 When ArcGIS metadata is exported to an FGDC-format XML file, these elements are added automatically by the ArcGIS to FGDC translator with the appropriate values for that style. 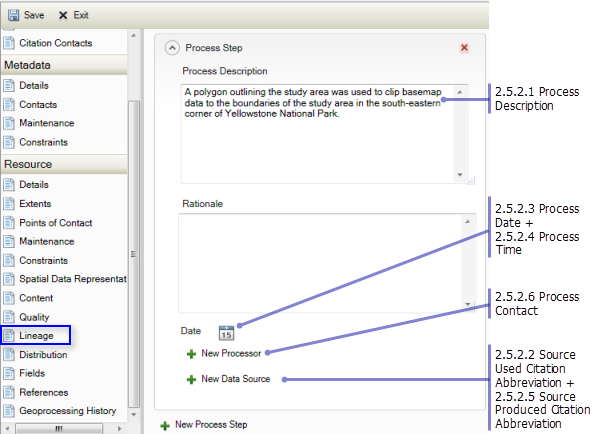 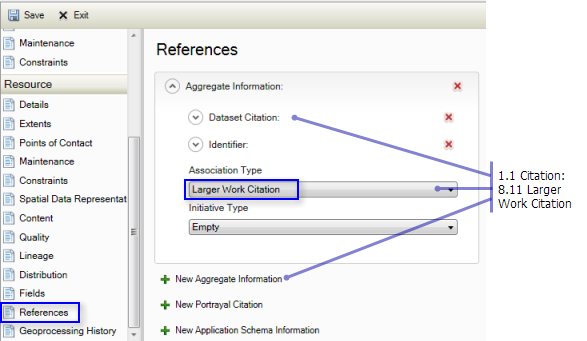 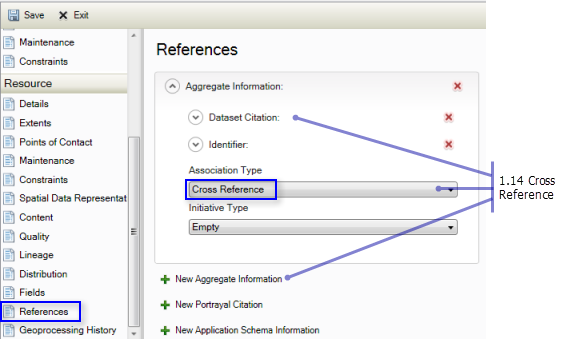 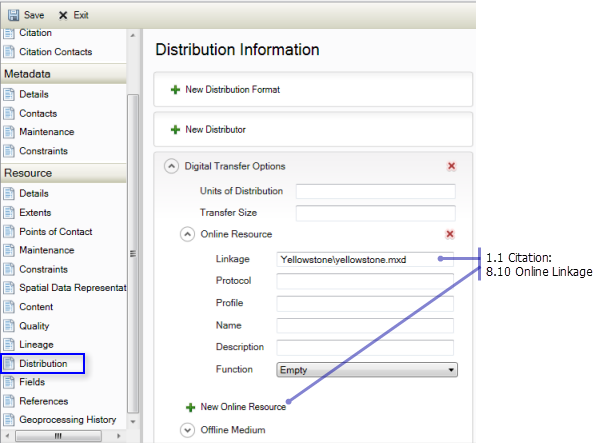 In ArcGIS metadata, an Online Linkage is provided differently for the item itself than for citations that describe other related resources. 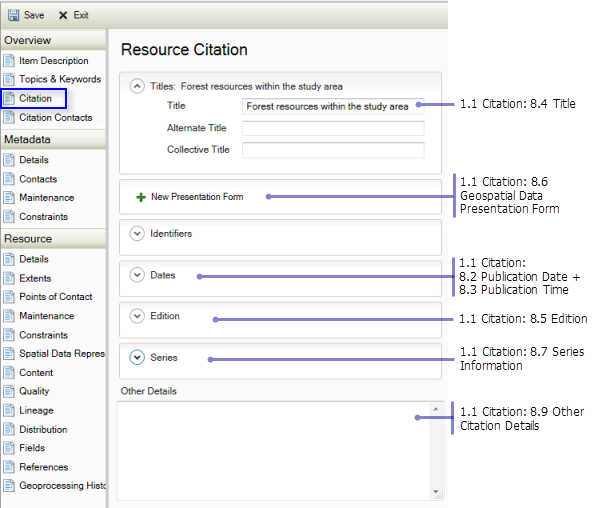 For information about how to provide this information for the item's own citation, see the Identification Information section.